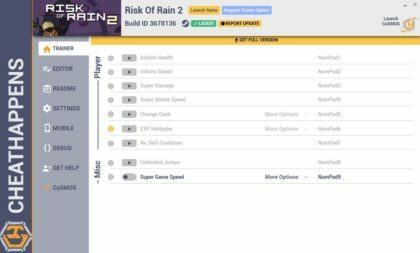 If you want to download Risk of Rain 2 Trainer for free, you can do it right on this page! This cheat works on the game version Build 3743353. Trainer includes 9 different functions, using which you can get a big advantage in the game. 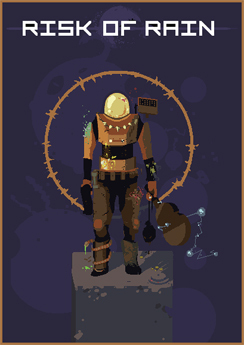 The classic multiplayer roguelike, Risk of Rain, returns with an extra dimension and more challenging action. No run will ever be the same with randomized stages, enemies, bosses, and items. Play solo, or team up with up to four friends to fight your way through hordes of monsters, unlock new loot, and find a way to escape the planet.